Improving the lives of others, by improving the lives of their pets! It’s an honor to welcome you and your furry animal companion to our family! Every pet that walks through our door, we treat as our own. We take great pride in not only our service and care but our true compassion for our patients, from the happy to the nervous and fearful. 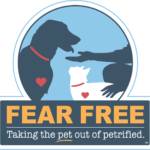 Truly adhering to the Fear Free ways, we raise the banner high and believe it is an honor you have chosen us to care for your furry members of your family. Our open door policy allows you to see how we handle and treat your animals, giving you peace of mind in knowing they’re cared for with the utmost compassion. 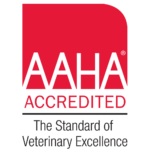 Our AAHA accreditation means you can feel confident that we have achieved challenging benchmarks in every aspect of our practice—and have done so since our first accreditation in 1996. Our hospital is evaluated on more than 800 standards—the most rigorous in the industry—directly correlating to the care we provide your pet. We must open our doors willingly and without reservations to an AAHA consultant for an inspection that lasts all day and is repeated with added sets of standards every three years. We meet or exceed standards that are widely used as benchmarks of excellence in veterinary medicine and are periodically updated to reflect clinical advances. In short, AAHA accreditation sets an animal hospital apart from others. Many animal hospitals are members of AAHA and can utilize some of their resources. But only a very few – approximately 14% of American hospitals – are actually accredited. We are proud of our AAHA accreditation. Our entire team believes in positive veterinary visits because… well, we love our patients! We want them to be just as happy to see us as we are to see them. As many pet parents have realized through experience, veterinary visits can be extremely scary for our beloved pets. Fear, Stress, and Anxiety can not only weaken the immune system, it can also give off false test results and make treatment much more difficult. 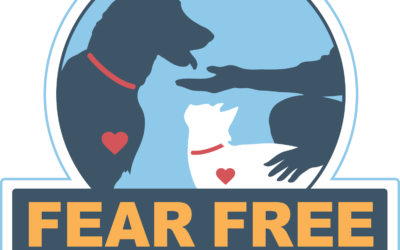 For this reason, we are proud to announce that our entire team has become Fear Free Certified. The team has gone through rigorous modules, and training to learn how we can relieve stress, fear, and anxiety for all our patients. With the help of pheromones, iCalm music, sedatives and fear free handling techniques, we are able to treat our patients with decreased stress. If you know your pet is extra stressed during visits, give us a call on how we can ease some of that stress prior to even walking into the building. Watch the video below for more information! The team has gone under rigorous modules, and training to learn how we can relieve stress, fear, and anxiety for all our patients. With the help of pheromones, iCalm music, sedatives and fear free handling techniques, we are able to treat our patients with decreased stress. If you know your pet is extra stressed during visits, give us a call on how we can ease some of that stress prior to even walking into the building. Watch the video below for more information! Our client’s reviews are the best compliments we can get! Always love bringing my pets here. 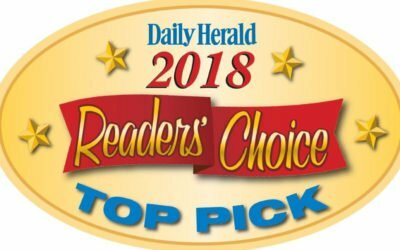 Amazing doctors and great staff! So cool I get texts and pictures so I don’t have to worry about my fur babies when they got surgeries! Thank you for all you do! Angela S.
I can’t say how much we appreciate the staff here. Carl was an amazing help getting Jaxon through Lyme disease without me having a break down from worrying. Brittani is his favorite person there and he loves…. loooooves when she does his nails. Also, Shawn was a huge help getting me the military discount. Thank you all again for everything! John G.
I am pleased with the level of care provided to my dog today! I highly recommend this facility for your pets needs! Overall, very caring and professional staff. They really took into consideration my dogs anxiety with a new environment. Thank you all! Kristina C.
I wouldn’t take my best friend any place else… unless an emergency and you are closed. I trust you with Winston and all my previous furbabies. Thank you for always taking such amazing care of my family. 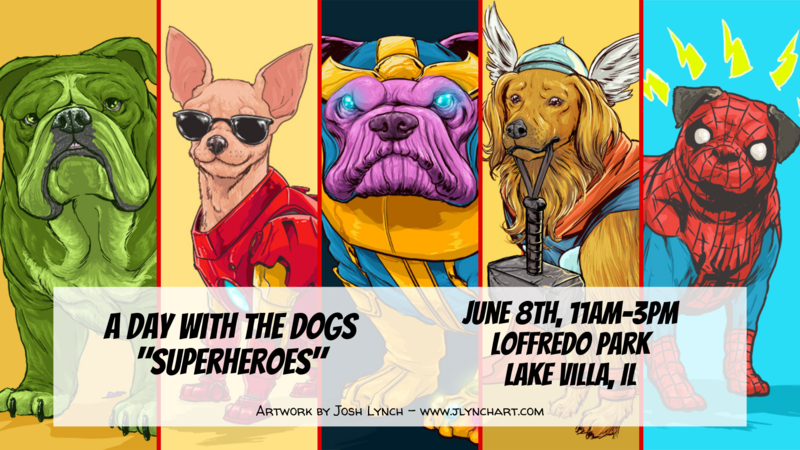 Registration for “A Day With the Dogs” event held on June 8th at Loffredo Park in Lake Villa, IL. The event is from 11am – 3pm. Registration comes with an event t-shirt, food tickets, raffle tickets and photo booth tickets. 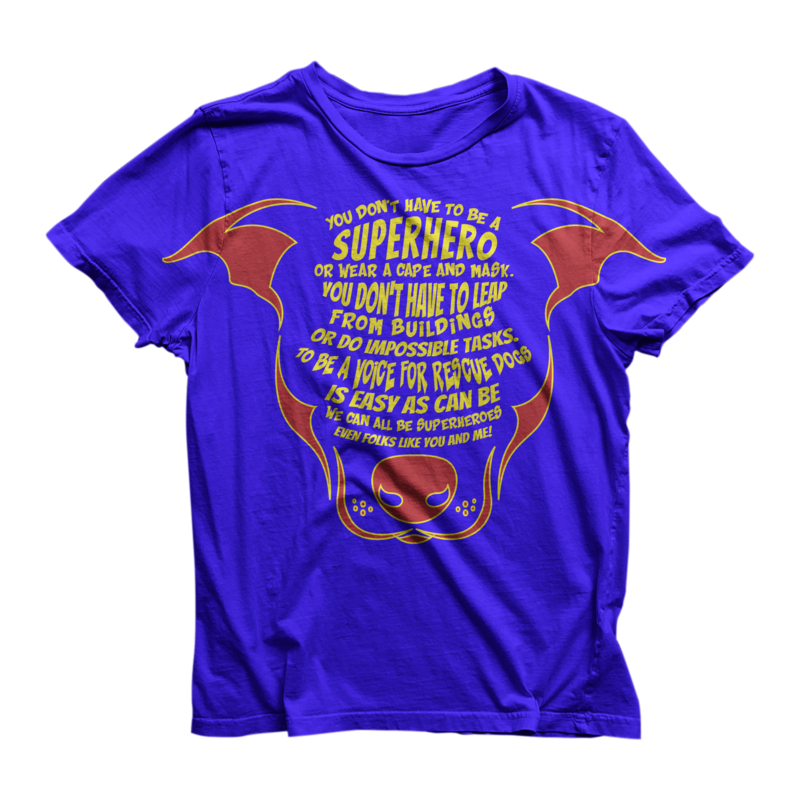 The 1st 50 people to register will also get an Animal Hospital of Lake Villa branded cape and one of our new Animal Hospital of Lake Villa Coins, worth $10 in veterinary services!